Does the idea of visiting Disney World with a group of friends or extended family terrify you? I know it did the first time I planned a group trip to Disney World! The good news is it doesn’t have to be an anxiety inducing event. You can plan a group trip to Disney and still talk to each other afterwards. First, I am going to share with you some general tips. Secondly, I will share 2 specific, but different techniques I have used to make visiting Disney World with a group fun for everyone. This is my number one piece of advice for visiting Disney World with a group. Everyone who is part of the group needs to be honest with themselves and each other. Are you a go-go-go all day at the parks person and your friends prefer a morning at the pool? That’s okay! Being honest about how each of you envisions this trip to Disney World will help guide the planning process. It will also save a lot of bickering and hurt feelings in the future, too. What time do you like to be up and ready on vacation mornings? Which parks would you like to visit? Now that your group has honestly shared what their ideal trip to Disney World looks like, it’s time to see how your ideas overlap. This is also the time to think about whether your goals are feasible. For example, some restaurants cannot accommodate larger groups. Be realistic about what you can do with a larger group. 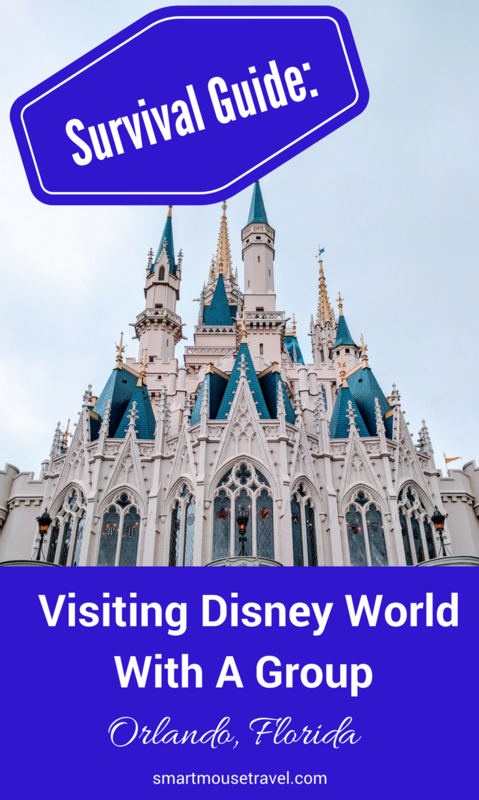 Disney World is a ton of fun whether you have a small or large group, a super planned out itinerary or you wing it – if you have the right attitude! This is also the time to look into ride restrictions based on heights or any health conditions people in your group may have. There is no point in planning on everyone riding Big Thunder Mountain Railroad if there are kids under 40 inches tall or one of your group can’t transfer from a wheelchair. Do the kids have different sleep needs? Does everyone meet the height requirement of each desired ride? Can everyone handle the large amount of walking or do you need to slow your pace? Does anyone in your group have a health condition that limits their ability to ride attractions? Larger groups mean that making a coveted dining reservation or grabbing a FastPass+ for the newest ride may not be possible for everyone. Make sure that if you are planning experiences for your group that you do not oversell what you can obtain in way of dining or FastPass+ reservations. Even if you are a seasoned Disney World planner, larger groups make it harder to get reservations. Let people know you will try your best, but that all the best laid plans can be thwarted. I was a little overconfident about dining reservations for our group of 8 people for my niece’s first trip. Despite making what I thought were reasonable substitutions ahead of time (for example: 1900 Park Fare instead of Cinderella’s Royal Table) I only got two of the dining reservations I had planned on. This was despite waking up at 6 a.m. to try booking on the online reservation system and then calling the reservation line at 7 a.m. And this was all WHILE I WAS AT DISNEY WORLD ON A TRIP. I felt terrible and my sister was extremely disappointed. Moral of the story: under promise and over deliver! If you have something on your bucket list and not everyone can go what will you do? What will we do if I can not get the first, second or even third choice of dining or FastPass+ reservation? Here is where it gets real. For those who like to plan their Disney World trips making dining reservations and FastPass+ times happen well before the trip (180 days prior for dining and 60 or 30 days ahead for FastPass+). Prior to your dining reservation window opening make sure people look over menus and you have several agreed upon choices. Want to know more about making Disney World dining reservations – including hard to get ones? Read more about dining reservations in my 5 minute guide. Do the same type of planning for FastPass+. Find out what attractions people are interested in experiencing. Make sure you have looked up height and medical condition restrictions so you don’t accidentally make a useless FastPass+ reservation. Have a list of agreed upon choices with several backup options. Find out more about making FastPass+ reservations here. Is everyone on-board with making dining reservations and FastPass+ reservations on the date those open? How will you handle it if someone joins your group at the last minute? Will you keep existing plans, try and add people (if possible), or start from scratch to include everyone? What sort of attractions appeal to your group? Do you have a group of adventurous eaters or picky palates? Does the group want to split at certain points? 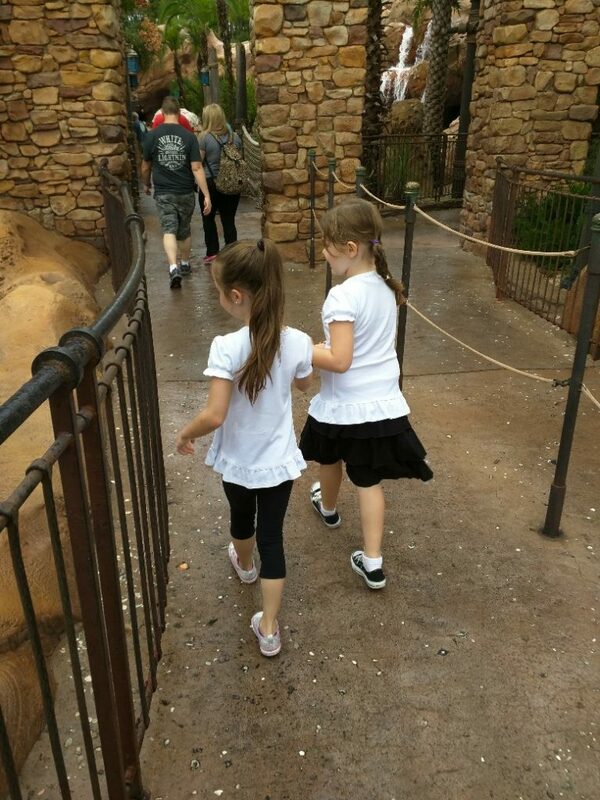 For example: one group rides the thrill rides and the other group does rides with the smaller kids. I’m going to share with you the two ways we have planned and traveled with these larger groups. I have used two basic strategies: All-Inclusive Tour or the A La Carte Tour. After having many, many honest discussions with my sister’s family and our parents everyone agreed they wanted to experience two-year-old Mini Mac’s first Disney World trip together. In this scenario I acted as the group travel agent. I personally arranged the resort, dining, and FastPass+ reservations with input from the group. I also made the arrangements for Magical Express transport for everyone. We ate all of our meals together and visited the parks together (with everyone having group FastPass+). The only difference was that the Macs took Mini Mac back to the room for naps and the rest of us stayed at the park during naptime. After nap the Macs met back up with us at the park. I called Disney World directly to book my own vacation package. At the same time I made a reservation hold for the Macs and my parents. A reservation hold allowed me to ensure all three families would have the desired rooms at the same resort for our trip. I needed the name, age, address, phone number and email address for the lead person on each reservation. Once the reservation is made on their behalf you are given a confirmation number. Your friend or family must call with that reservation number and place a down payment within 3 days or the reservation will be automatically cancelled. My family had no interest in making their own My Disney Experience accounts. This made managing everyone’s plans a little easier. If others have an account then you can simply invite them to plan with you via the My Disney Experience website. Once the accounts are linked you can make reservations on their behalf. It is crucial that prior to making FastPass+ reservations you have each member of your group linked to your My Disney Experience account. You also need to make sure that each member of the group has a valid theme park ticket purchased and linked to them. If you don’t have a ticket linked you will be unable to make FastPass+ plans for that person. I kept looking for dining reservations after the initial booking window opened. This allowed me to get princess dining at Akershus for our entire party. I was also able to make matching FastPass+ reservations for our whole group with the exception of one attraction. To do this our group was split into two while planning and I worked to find overlapping FastPass+ windows. This way there are 40- to 50-minute windows where all 8 of us can access attractions with a FastPass+. And because we wanted to move as a mob we decided to skip FastPass+ for rides that Mini Mac is too short to ride. Our family trip using these techniques was a great success! Everyone had a great time and had so much fun that my sister’s family booked another trip right when they returned from this first one. Sometimes you will find yourself visiting with friends or family that envision their Disney World trip quite differently than yours. This difference in goals can be managed effectively by doing what I think of as the A La Carte Tour. In this scenario the group moves together as a unit for a smaller set of days or events. The remainder of the trip is spent with each family unit doing whatever they please alone. I’ll give you the example of this style trip we took with good friends. This friend decided a couple of months prior to the travel dates that they would like to travel to Disney World some of the same dates we were there. I generally plan my trips waaaaaaaay in advance and book dining right at the 180-day mark at 6 a.m. My excitement of having our friends meet us was quickly replaced with sheer terror. I had several key reservations including Cinderella’s Royal Table and ‘Ohana I really didn’t want to cancel. These friends are the type to hang by the pool and then leisurely explore, which is vastly different from our usual pace. After our honest discussions about what we each wanted we decided to spend part of our trips together. We spent a whole day at Magic Kingdom together (with group FastPass+) until we split up for dinner and Mickey’s Not So Scary Halloween Party (they wanted to ride attractions and we wanted to meet villains). The next day we spent the whole day together at Epcot, had group FastPass+ and one dining reservation together. The last day of overlap took place the following evening. We had each toured individually, but then came together to have a final meal of the trip as a group. This friend did have her own My Disney Experience account. To be able to see and share plans I had to invite her to plan with me via the website. Here are in-depth instructions on how to link accounts. Once our friends were part of my family and friends list I could choose to make dining reservations or FastPass+ reservations for all of us just like normal. These plans would then show up in their account, too. This allowed me to make all of the group reservations for our families. I also helped my friend to make her family’s reservations for the times we spent apart (because that’s what Disney obsessed friends do). This trip was fantastic! We have so many fun memories of things we did together (like when we surprised the girls with each other at Magic Kingdom or when the girls chased lizards while we had a drink during Epcot’s International Food and Wine Festival). Everyone left the trip feeling good about the time spent together (and apart). Visiting Disney World with a group can be not only survived, but enjoyed by all! Remember to be honest with each other, be realistic, manage expectations and plan together to ensure you have success. 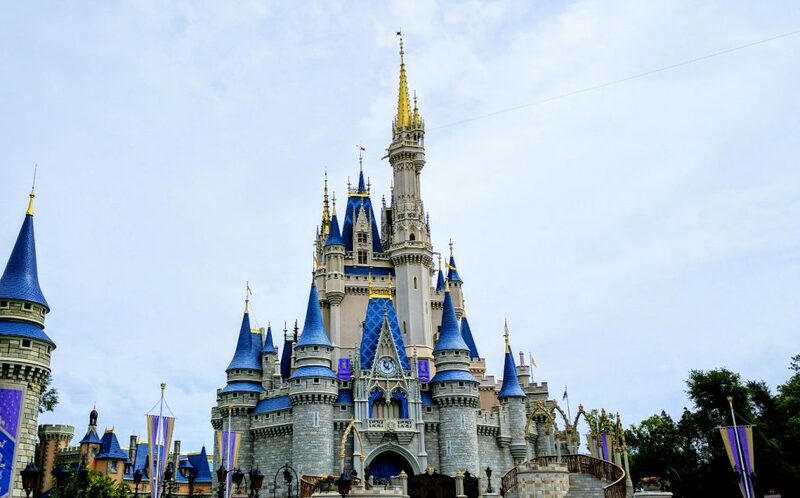 And don’t feel pressured (or pressure others) to visit Disney World in a way that makes them uncomfortable – it will only lead to a disappointing trip and strained relationships in the future. As you can see with my examples, each group will require a different style of trip. Please use my real life examples to help you make the right trip plans for your individual group. Remember – you are ultimately at Disney World to have fun and walk away with fond memories of time spent with your family and friends. This is a GREAT article! some of the general info (planning, being honest) can adhere to any travel plans with a large group. But I like the WDW specific tips of how to do fast pass and dining together. I do love disney, and even though I consider myself a planner, I dont love having to have everything for a DW trip SO planned out, but that is the reality.